Additional Info: Terry Ferster is a 36 year certified and licensed Alberta Teacher. In addition, Terry holds a Master Diploma from Scottsdale, Arizona. Having been a string instrument musician most all his life, it was, years ago, a natural transition to extend his skills and experience directly to the set up and repair of fine violins, cellos, violas and string bass. Terry, along with his partner Ruth, own and operate R and T Music Studio and Luthier Services in Red Deer, Alberta, Canada. Ruth teaches piano, violin, viola and cello. Terry teaches cello, string bass, mandocello, guitar, banjo, mandolin, Irish Bouzouki, ukulele and a variety of other unique fretted and string instruments from around the world. 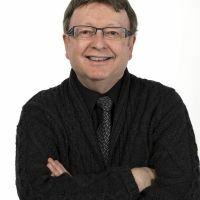 In addition, Terry and Ruth also operate Irish Mouse Music Events hosting and promoting musicians and music groups from across Canada, the United States, Europe, Australia and New Zealand. Fees: Terry estimates and works from a published list of luthier services and prices and offers free quotes regarding needed repairs or set up. Hidden flaws or damage discovered after the initial quote will be explained to the client prior to any additional work being completed or charged out. Among a wide variety of luthier services, Terry repairs and rehairs bows, does bowed instrument set ups including pegs, planetary pegs, peg boxes, custom bridges, sound post adjustments and replacements, finger boards, restringing, end pins and instrument cracks. We invite you to visit our main website at www.randtmusic.ca.